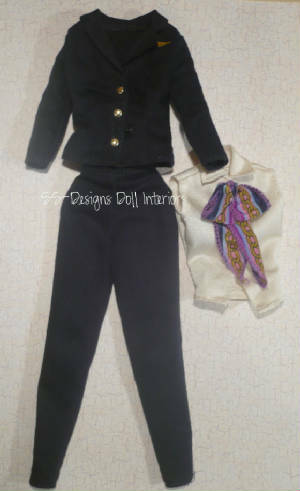 Gently used Barbie Fashions. Shipping cost is first class mail under 13 oz or parcel post from zip code 60189. 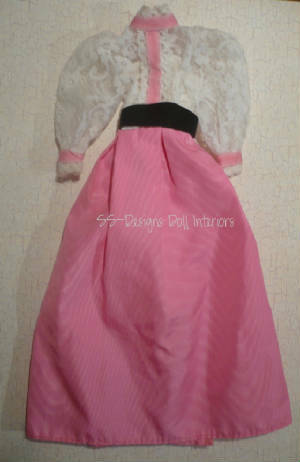 Lacey white blouse, pink skirt. One piece. Good condition. Black jacket with gold pilot wings. Blouse & scarf. Black slacks. Excellent condition. 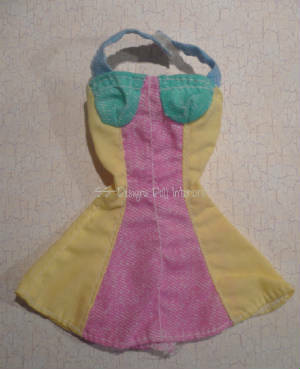 Handmade dress. 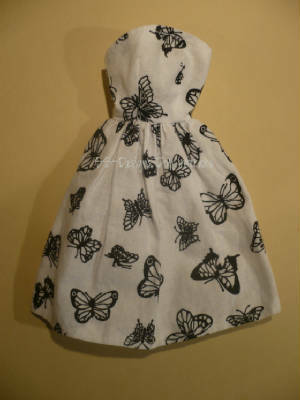 White with black butterflies. Strapless. Three piece Mix and Match. Black denim pants. Black denim skirt. Red and black top. Very good condition. 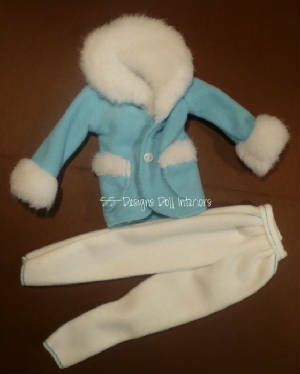 Light blue fleece jacket with fur collar. White fleece pants. Barbie tag. Lacey blue gown with colorful overlay. Barbie Tag. Very good condition. Three piece Mix and Match. Fashion Fever. Purple and blue dress. Purple leggings. Blue purse. Excellent condition. 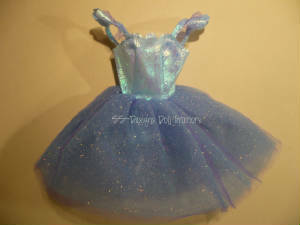 Blue and purple irredescent tutu. Good condition. 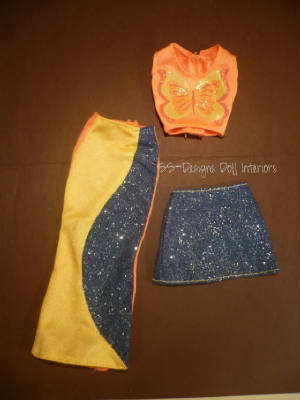 Orange and Yellow butterfly top. Orange yellow and denim long skirt. Denim short skirt. 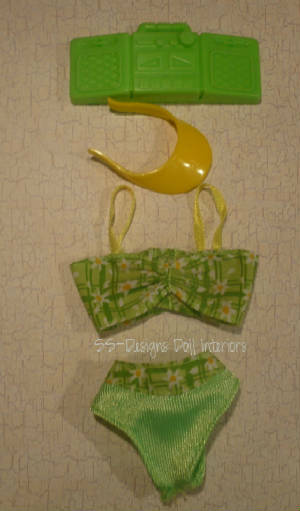 Green and Yellow daisy bikini. Green radio. Yellow sun visor. Black pleather skirt. Red dalmation shirt. White socks with black spots. Black pleather vest with spotted trim. Denim crop pants. 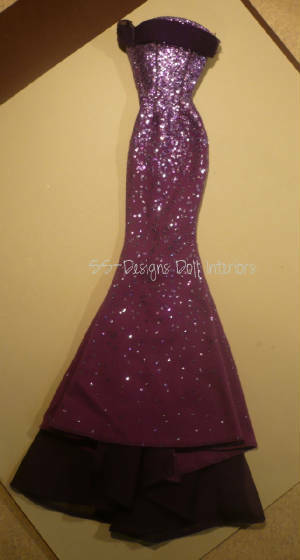 Purple top with green trim. 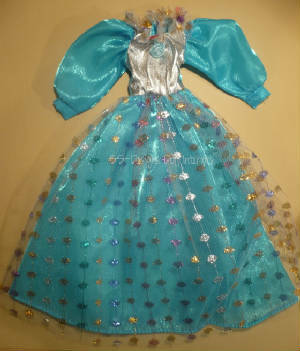 Collector Edition gown. Gorgeous mermaid style. Excellent condition. Silver tag. Snap closures. 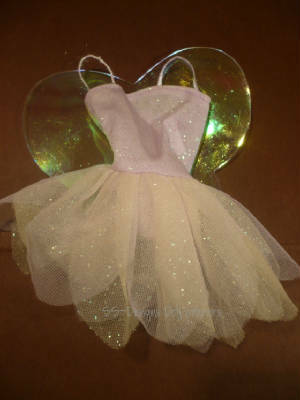 Pink tutu with fairy wings attached. 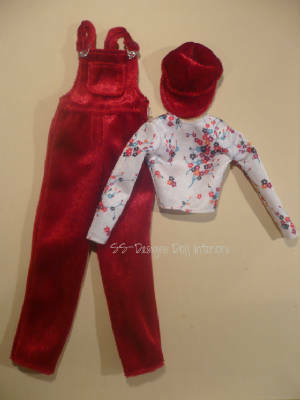 Red overalls. White floral top. Matching hat. Very good condition. 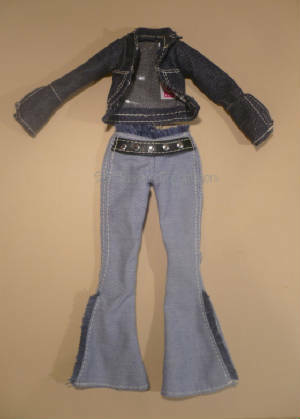 Flair leg jeans. Jean jacket. Fits My Scene Dolls. Black and hot pink dress. Bat print material. 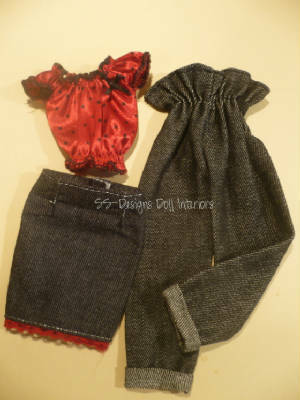 Great fashion for Halloween or gothic dolls. Pink leopard swimsuit. Pink snorkel mask and tank. 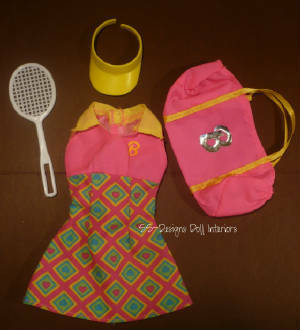 Barbie bag. Good condition. 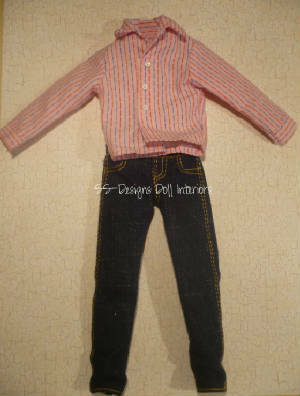 Jeans and striped shirt to fit HSM male doll. VG condition. Smaller than Ken. Faded flair jeans with gold belt attached. Teal crop top. Very good condition. 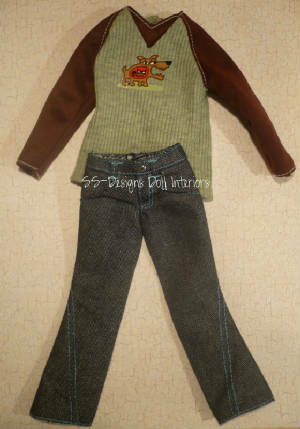 Jeans and henley top for male My Scene or Ken doll. Very good condition. 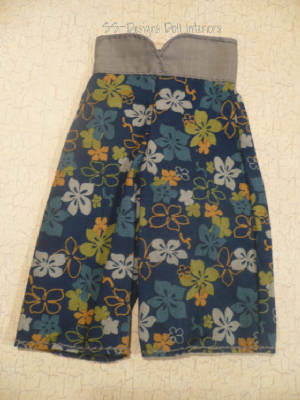 Blue floral swim trunks for Ken. Excellent condition. Light blue floral trunks. Purple and blue muscle shirt. 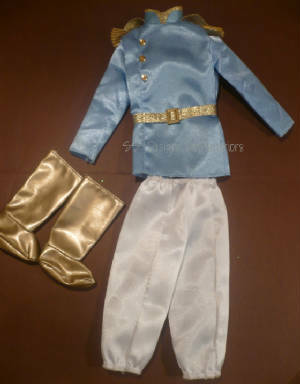 Light blue jacket. White pants. Gold boots. 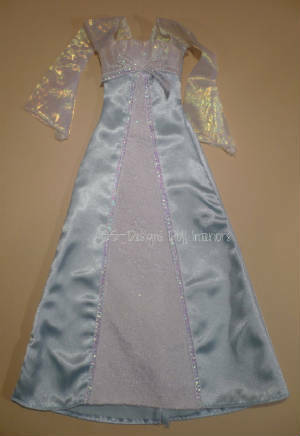 Light blue A line princess gown. VG condition. 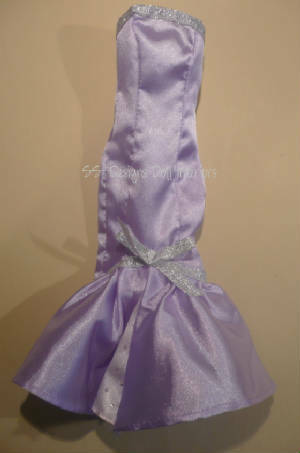 Lilac (light purple) mermaid style form fitted gown. Good condition. 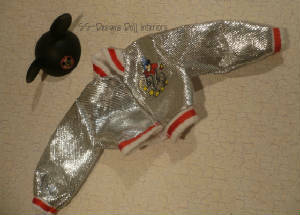 Silver jacket with Mickey Mouse logo. Mickey mouse ears hat. Denim dress. Yellow, pink and blue. Very good condition. 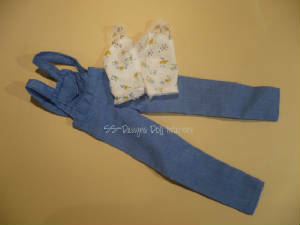 Blue overalls. White top with yellow and blue flowers. Handmade. Good condition.